Nobody contests the fact that guns are dangerous and must be handled with care. However, the science behind them, what makes them work, and the wide variety of weapons are all fascinating issues. We sure know some people have a passion for firearms and they can tell them apart with ease. Do you know the difference between a rifle and a shotgun? This article explains it. A rifle is a long firearm you fire from your shoulder and its distinguishable characteristic is that it has rifling, meaning a pattern of grooves cut into the barrel. These grooves make the bullet spin on exit and hit a target with more power and precision. When fired, the bullet is propelled with the help of a contained deflagration. They are good at long-distance shots. The more powerful the rifle, the further your aim will be. Also, it is important to remember that a rifle is a one-round firearm and that the bullets used are small, helping them travel faster and further. A rifle can hit a target 75 to 100 yards away. A shotgun is a long firearm designed to be fired from the shoulder. The bore of a shotgun is not rifled and it varies in size between .22 inches to 2 inches. It is worth mentioning that the shotgun has a long history, its predecessor being the famous musket that soldiers had to load by hand before every shot. 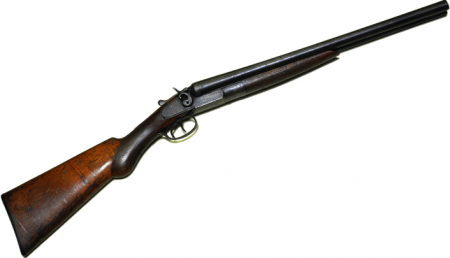 Today there is a wide variety of shotguns, varying from pump-action, lever-action, semi-automatic, and fully automatic. To fire a shotgun, you need to use the energy of a fixed shell or a solid projectile, the slug. One shot fired from a shotgun has a dozen small pellets. 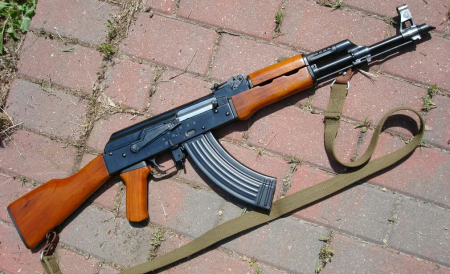 It is easy to aim and it is a great weapon for short range and self-defense. A shotgun usually hits targets less than 50 yards away. So what is the difference between a rifle and a shotgun? Both weapons are long firearms you must fire from the shoulder. The main difference between them consists in the fact that the rifle bore has grooves, while the shotgun bore is smooth. This characteristic determines other noticeable differences between them. For instance, the rifling of the bore helps the bullet travel faster. Therefore, a shot fired from a rifle can hit a target 75 to 100 yards away. On the other hand, a shotgun can only hit a target at a distance of up to 50 yards. A rifle fires a single bullet in one shot, while a shotgun fires multiple small pellets inside a shell. This makes the rifle good for long-distance use and a shotgun good for self-defense and short range use. Also, the shot of a rifle depends on a controlled deflagration, whereas that of a shotgun uses the energy of a fixed shell. Usually, a rifle is heavier than a shotgun.